Two weekends ago, the streets of Toronto was consumed by the action surrounding the 2012 Honda Indy. Within the major league open wheel IZOD INDYCAR Series competing on the temporary street circuit, many Canadian eyes rested on the efforts of Toronto-born and raised driver James Hinchcliffe. As the IZOD INDYCAR Series circus departed Toronto without a favourable outcome for Hinchcliffe, nearby Canadian Tire Motorsport Park (previously known as Mosport International Raceway) hosts professional sports cars under the American Le Mans Series banner with another stand-out young Canuck eager for victory at home soil. At 22 years old, Kyle Marcelli has three years of experience in the American Le Mans Series' Prototype Challenge category (a one-class competition containing only Oreca chassis powered by Chevrolet engines). 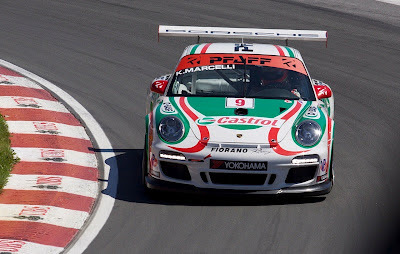 In 2011, he co-drove his way to a total of three major sports car racing class victories. 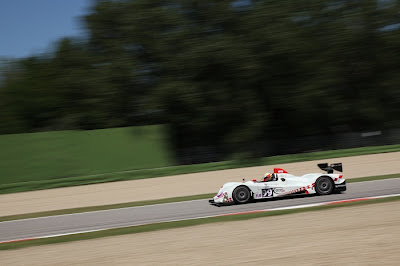 Of the three, there was a class win in the European Le Mans Series 6 Hours of Imola that ultimately became Kyle Marcelli's first big league sports car victory. 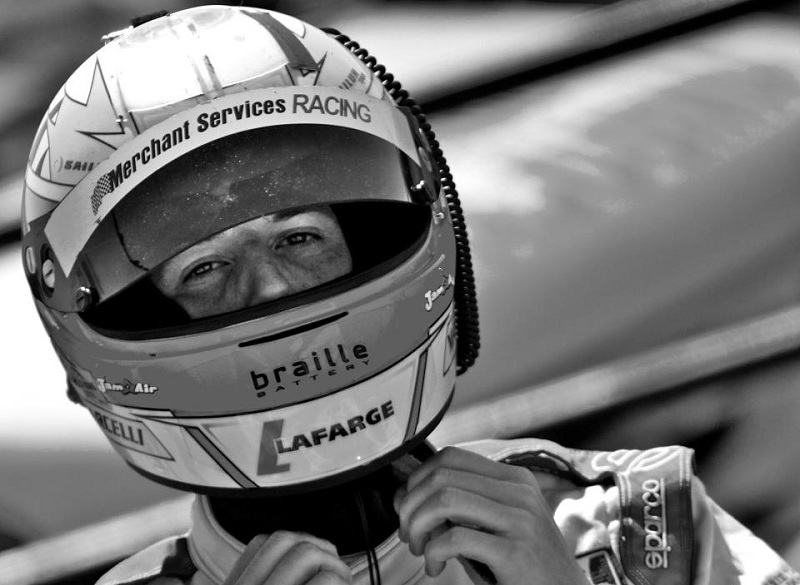 After two years at Intersport Racing, Marcelli joined the newly-formed Merchant Services Racing LMPC class team for 2012 assembled by his Imola win co-driver Chapman Ducote. 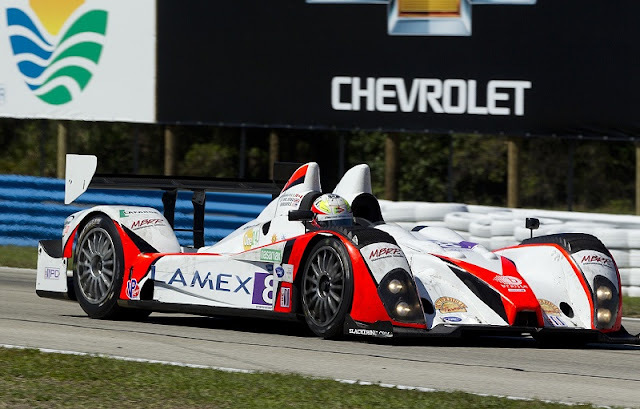 A class pole in the last race at Lime Rock Park has been a highlight for what has been a difficult start to the 2012 American Le Mans Series (ALMS) season. 1RM: What have been your icons as you have developed your career in motorsports?KM: On the race track I look up to guys like Ron Fellows, a first generation race driver that found his passion for the sport and did everything it took to be successful. For Ron, I know it required taking a few years off to work in the northern mines to earn some money to get back behind the wheel. When he was behind the wheel, he was driven to be a winner. Off the track, my dad is a big inspiration. He is an extremely hard working man, I get my passion, persistence, dedication and hard work ethics from him. 1RM: Last year was, by definition, a breakthrough era as you were part of the winning driving team in a class category at Imola. Winning a major event, was there anything unique you have learned about yourself after the accomplishment?KM: 2011 was definitely a successful year of competition for me. 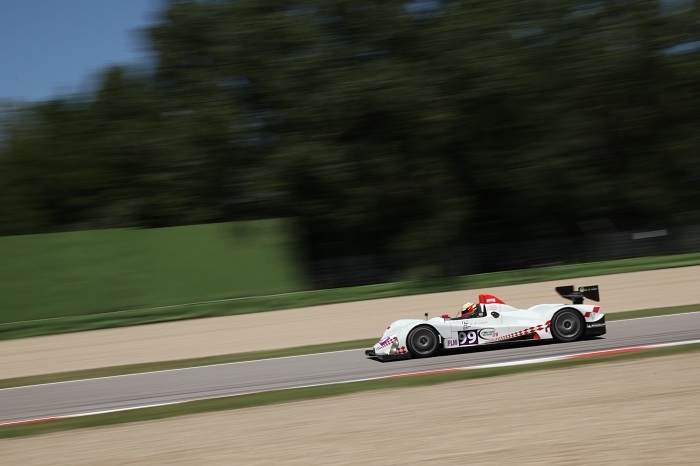 I earned two ALMS pole positions and race wins as well as my first ELMS race win. 2011 marked the first time in my career that I was back in the same car for a second season. I was always told while moving through the ranks that you should plan on two years at each level. The first as a learning year and the second as a year to win the championship. For me that really clicked in during 2011. I was so confident and comfortable in the car and I think it really showed in my performances. 1RM: You have earned a reputation as being a fast driver in the largely spec LMPC class. What is most difficult, driving fast in a sports car or the endurance aspect of racing?KM: Thank You. The LMPC category is a spec class, each team is working with the same equipment so it really comes down to the driver and engineer to get the most out of the machine. The professional drivers on each team are very close in speed, to be the fastest it really takes a perfect lap. For me its very rewarding to put in a perfect lap and get the most of the race car, words cant describe the sensation. 1RM: Sponsorship is obviously a big component in major, modern motorsports. Besides winning on the race track, what do you believe are key factors companies have looked for from you?KM: That's correct, this is a very expensive sport for the race teams and manufactures. There is no right or wrong answer to what it takes for companies to want to be involved. The goals are really different for everyone. However, I'd say the number one factor that companies look for in a race driver aside from being fast is personality. At the end of the day we are representing a brand and the better you can do that the more companies will take a liking to you. 1RM: What do you think is one thing motorsport fans may not fully grasp about the career of a race car driver?KM: The number one thing that fans may not fully grasp about the career of a race driver is one the sacrifice and time that is put into building your career and two is the travel and time away from home, friends and family. Like professional sport, you literally need to dedicate you entire life for the chance at being successful. That said, I believe that if you work hard enough and want it bad enough, dreams do come true. 1RM: Sports car racing is a very international sport. Do you think that you are racing for your country as much as you are racing for yourself, teams and sponsors?KM: Very good question. The simple answer is "Yes". I'm a very proud Canadian and the only Canadian currently competing full-time in the American Le Mans Series. For me this is very important and I do feel like I am racing for not only myself but my country. 1RM: What is your general assessment of motorsports in Canada?KM: Motorsports in Canada seems to be pretty dull. For what ever reason, Canadian's just don't seem to have the same passion for the sport as other counties in the world do. That said, it's amazing how many talented race drivers Canada has produced. 1RM: If you had an opportunity to run another form of auto racing, what would be your preference?KM: Next to sports car and prototype endurance racing for me would be Indy Car. I'm very content to stay at this level of auto racing, however Indy Car is on the radar. 1RM: If you could have driven in any era of sports car racing and drove any type of race car in competition, when and what type of vehicle? KM: If I could have driven in any era of sports car racing, I would choose the mid to late 90's. I'm a big fan of Porsche's Le Mans winning 911 GT1 race car. Its such an attractive piece of machinery and proved itself to be the car to beat on the track as well. It wouldamazing to get behind the wheel. 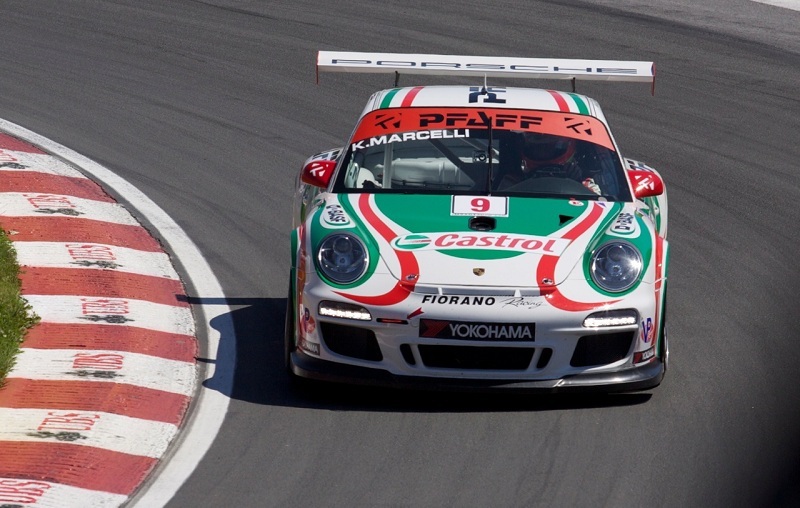 Kyle Marcelli will be competing in both the American Le Mans Series 2-hour, 45-minute event and the two Porsche GT3 Cup Canada Series races this weekend with the #9 car.